The final commissioning stage of any project is key to its success – ensuring that once the system is fully operational, the end user has a robust, reliable and easy-to-maintain system. We can help to ensure that the final stage of your project is executed smoothly. 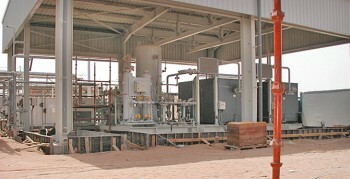 We undertake regular commissioning projects around the world, working in a wide variety of environments. In addition to commissioning our own systems, we are able to provide engineers to commission systems not designed or built by ourselves, for example where the OEM is unable to support potentially lengthy overseas trips. Our engineers have extensive hands-on experience of commissioning systems both in the UK and abroad. They are trained to cope with extreme site conditions and to always complete the necessary work in a competent and professional manner. We have provided commissioning engineers to work on projects throughout the world, including Africa, The Middle East, Asia, Europe and Russia. Please contact us to discuss your worldwide site commissioning requirements.